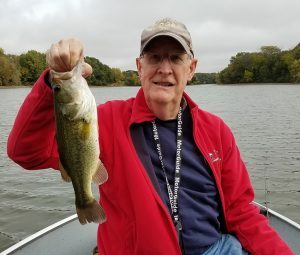 Some more good bites as fall kicks into gear including a young angler joining our Top 5 in posting a new personal best. Angler Comments: This is the best of seven fish caught Friday afternoon between 1:00 and 3:45pm. The other six fish were in the 10-12” range. 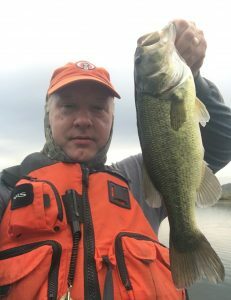 Angler Comments: Fished from 1:30-3:50pm with a fisherman new to the sport. We landed four fish. This was the largest. 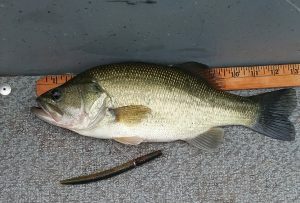 The rest were 8-9” and not weighed. Angler Comments: Fished from 2:15 to 4:30 pm with Avery Yung, Reed Yung and Landon Hannam. Reed and Avery were in kayaks while Landon and I were in my boat. Heavy overcast and warm but no rain. No other boat fisherman and maybe one or two shore fisherman west of the pavilion. I caught two other fish but they were a pound or less. We caught nine bass all on wacky worms among the four of us. Angler Comments: Fishing with my uncle John and my cousins Avery and Reed. Biggest fish I have ever caught.